The police work double shifts when they know you're headed out on the town and superheroes always make sure that you're not causing a scene. Trouble is your middle name and it's time you got an outfit that shows it! 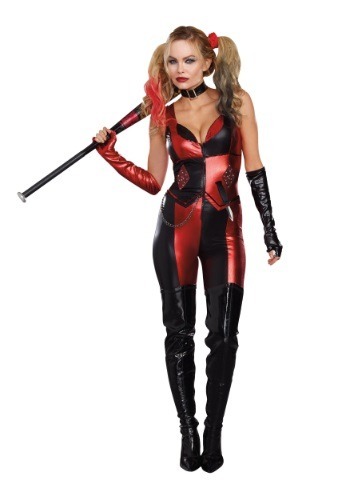 This Harlequin Blaster Costume has a form fit and a playfully devious style that lets the world know that you're not just another clown. It lets the world know that you're a villainess, a bad girl—the kind of woman who's got a few evil schemes in mind. Once you slip into it, you might even find yourself playing a few pracitcal jokes on your local superhero.